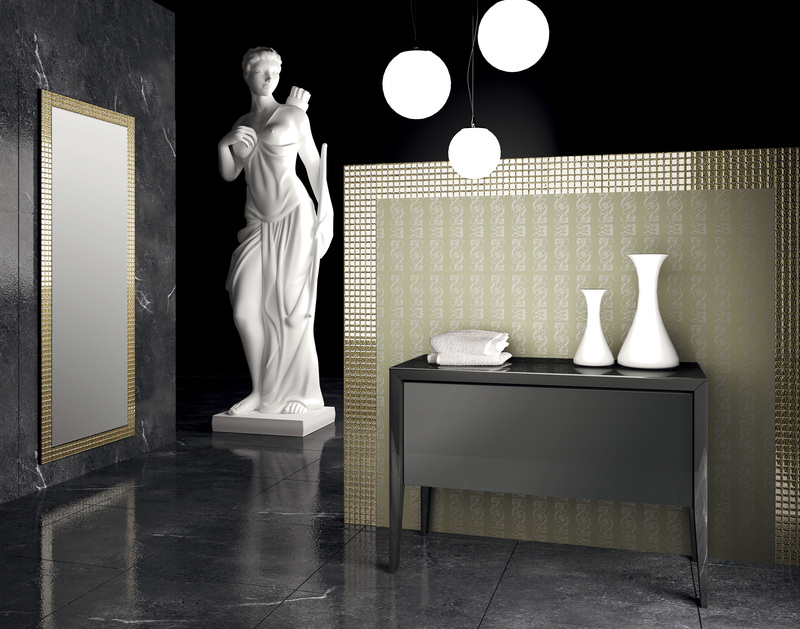 The collection was created by Maurizio Duranti and in­spired by the Art Deco style rethought in a modern way. 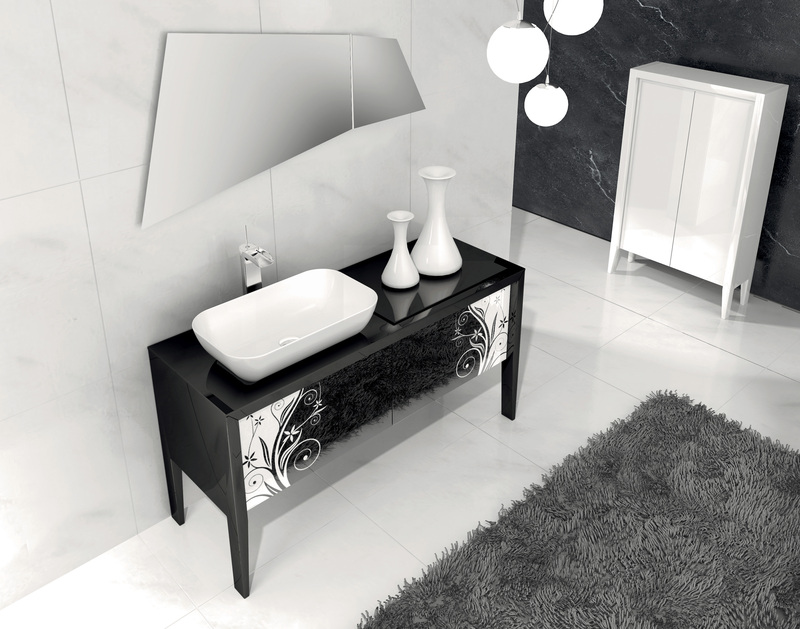 Available in lacquered polished white and polished black finishes, with a wide range of decorations for the crystal shutters. 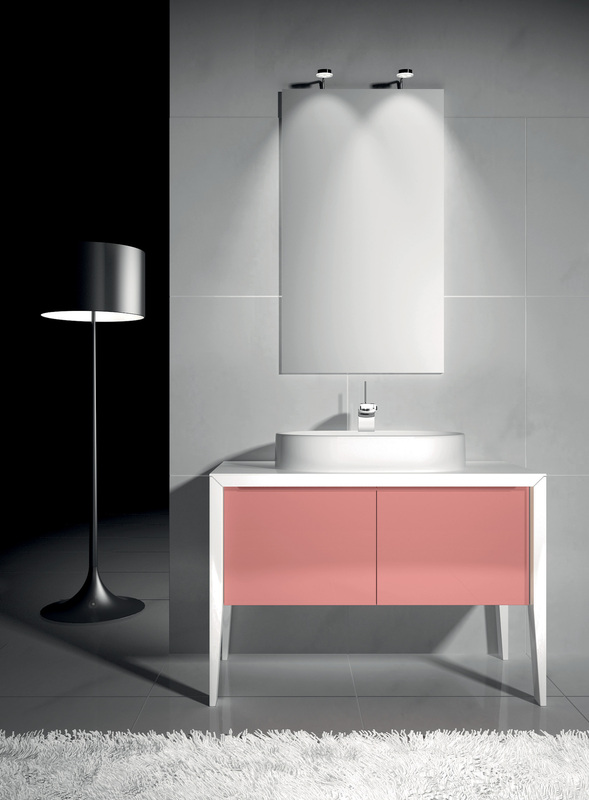 An essential and timeless design able to give light and elegance to your bathroom environment. 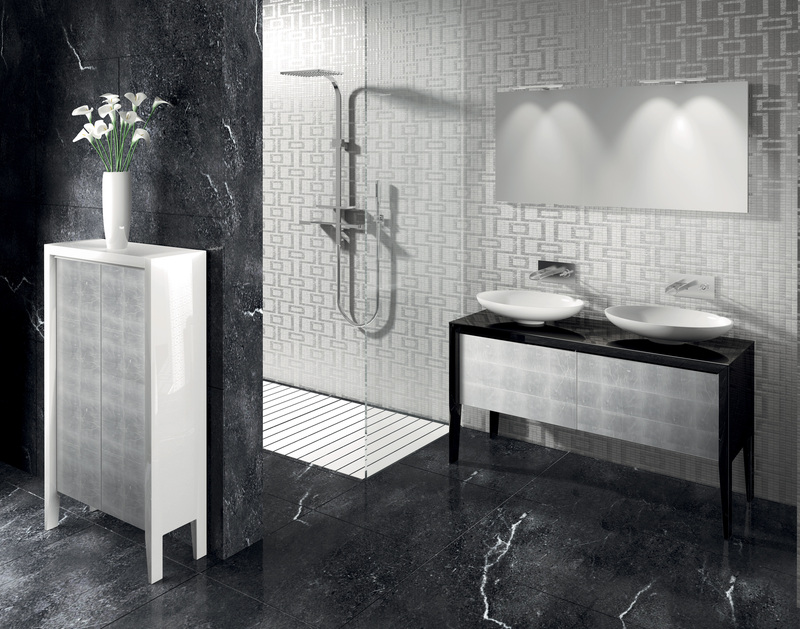 The diverse dimensions of the elements allow you to furnish and personalize, with exclusive style, both large and small environments. 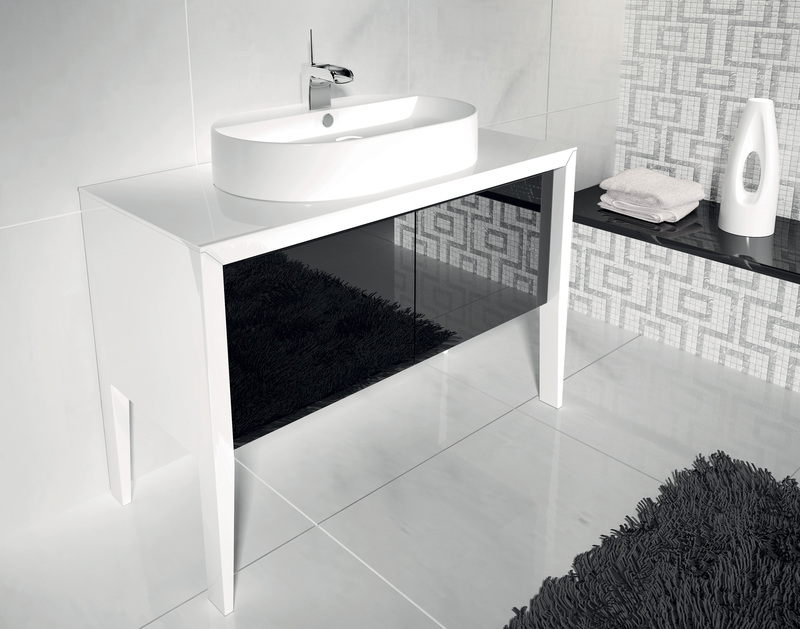 Sink base Jet Set L105 cm lacquered glossy white, and doors in black glass KEOS R ceramic basin. 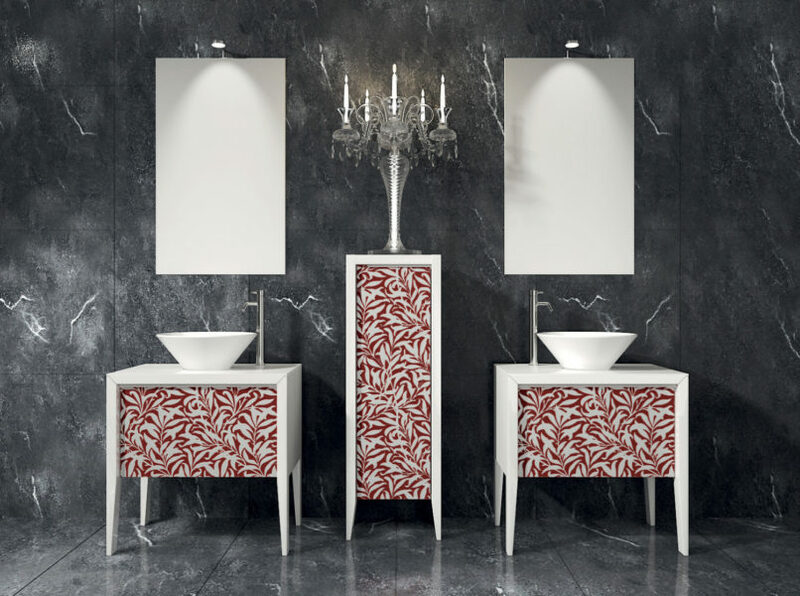 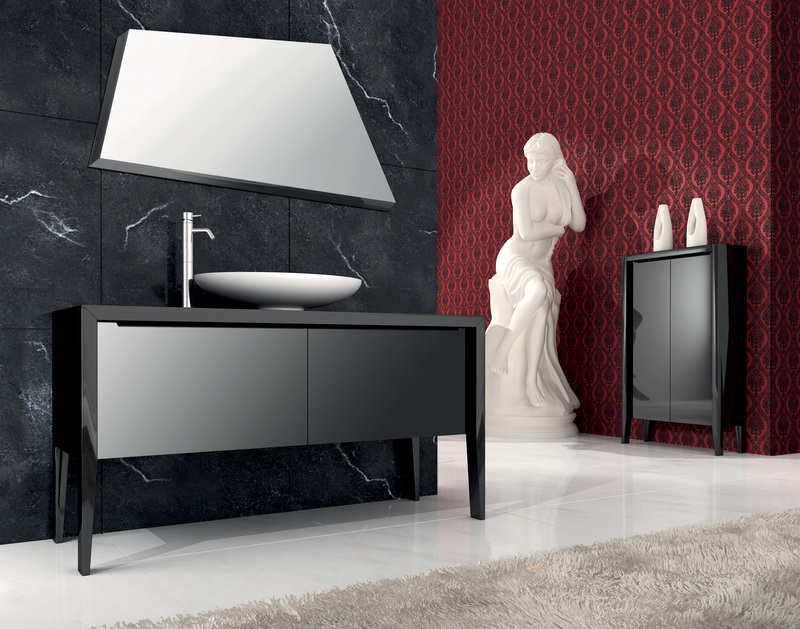 Emotional bathroom consists of a sink base Jet Set L 135 cm lacquered glossy black and doors in white crystal. 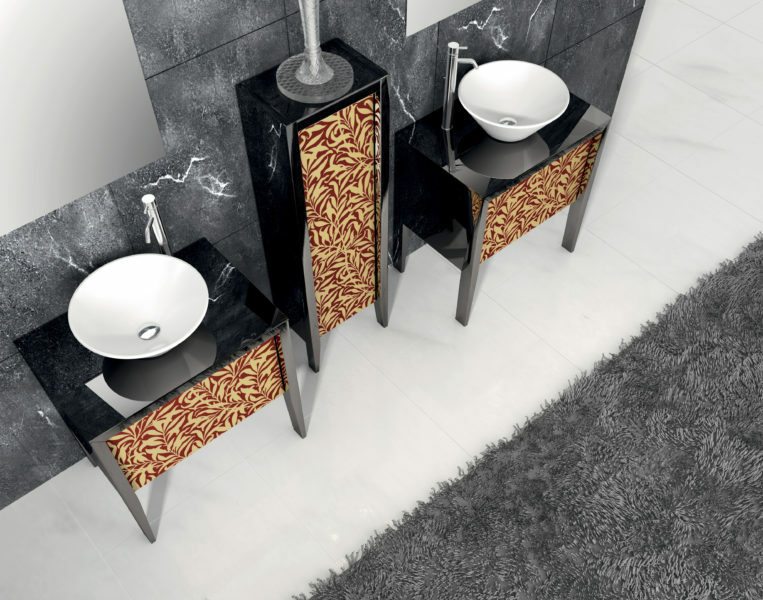 Ceramic sink KEOS Cupboard Jet Set H 180 L lacquered glossy black 40cm, and doors in white glass. Jet set unit L 105cm and cupboard with two doors in white crystal. 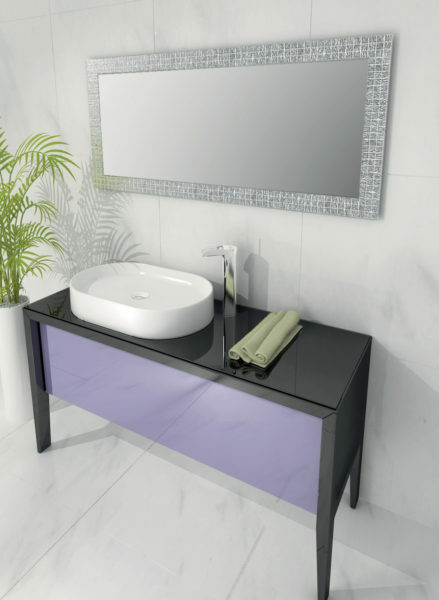 Detail of the sink base Jet Set L 135 lacquered glossy black with glass doors violet and tops in black glass with KEOS ceramic washbasin. 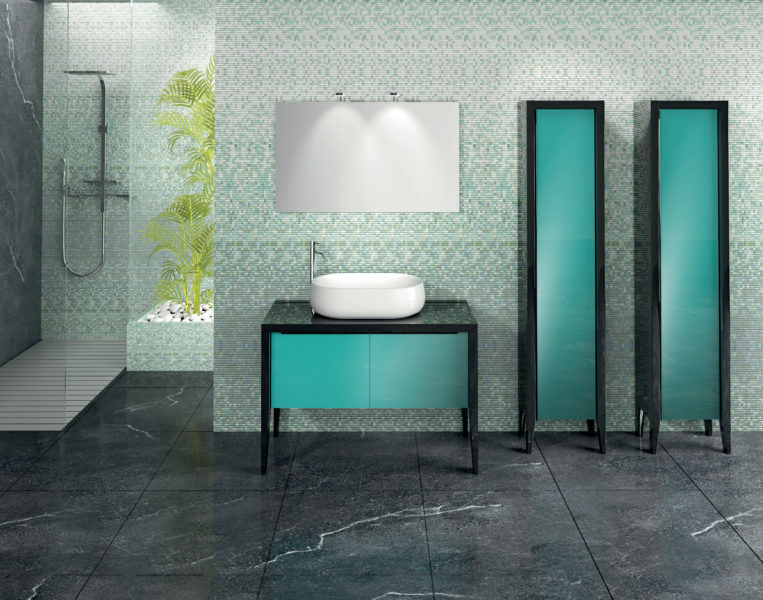 Bathroom setting composed of base Jet Set L 105 and two cupboards H 180 gloss black lacquered with green glass doors.